During my February trek to Nashville for the SBC Executive Committee meeting, I’m always blessed by the reports from the entity leaders of the SBC. It is thrilling to hear about the advance of the gospel in North America and among the unreached in neglected places of the world. When I heard Dr. Page, I wondered how our 1,800 Missouri Baptist churches stacked up. I sent an email to MBC staff and in seconds learned that in 2017, 22 percent, or 395 churches, gave 80 percent of the Cooperative Program dollars through our state convention. 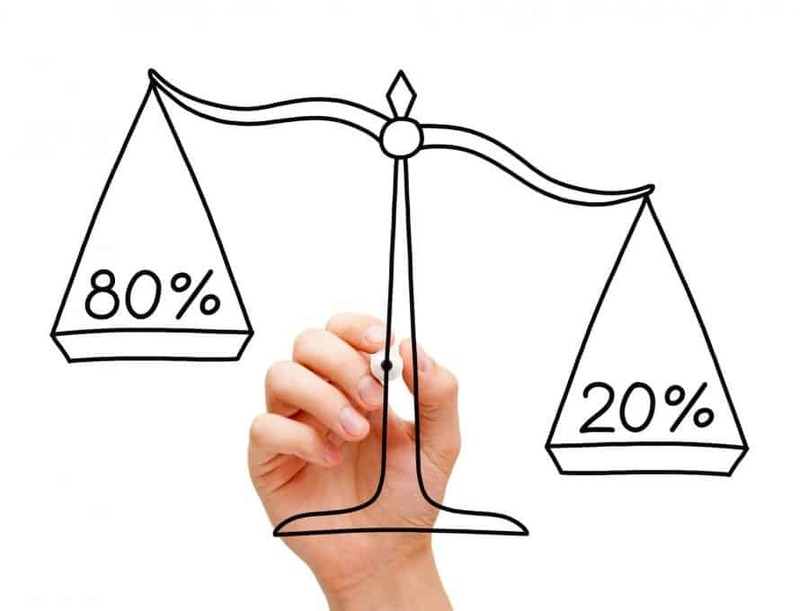 You may think, “22 percent give 80 percent of the money?” I would suggest as a matter of stewardship to ask your own church what the percentages are. You might be surprised. It reminds me of the old sad 80/20 rule: 80 percent of the work gets done by 20 percent of the people. In the churches the Lord allowed me to lead, we were not too far off those numbers when studying the entire membership. There are exceptions. When adult and student lives are being born again and transformed, the percentages rise. Why? Dollars tend to follow mission. When we catch the vision of God working, we want to invest in the work. When the passion to obey Christ is more important than anything else, our hands become open to the generosity in our hearts toward the Kingdom vision. When church leaders catch the vision for what churches can do together to further the gospel, the Cooperative Program becomes the preferred conduit for amazing work. In the same article, Dr. Hemphill writes about the danger of the “Neo-societal” method of churches giving to missions. “They give a small percentage through the traditional Cooperative Program and then give the remainder of their mission dollars through designated giving, some to Southern Baptist entities and some through other non-SBC mission agencies. Some larger churches fund their own missionaries. “Every church is fully autonomous and can determine their own mission giving strategy, but this neo-societal method short-circuits the system of giving that has made Southern Baptists the greatest missional community of all time. “You would think we would understand that the traditional method of cooperative giving would be the default method of giving and receive most of each church’s mission dollars. Mission trips and special initiatives that a church wants to fund would be above and beyond Cooperative Program giving. It is how we work together. “Consider, the Cooperative Program is the unified budget of the Southern Baptist Convention. I can’t imagine any pastor encouraging church members to pick and choose among the possible budgeted items and determine what percentage of their tithe should go to a specific item of the budget. For example, what if a majority wanted to give to the youth program or choir ministry and few wanted to fund salaries or the electricity bills. No local church could long survive with such a giving pattern that ignored the cooperative nature of a unified budget. “Another anomaly impacting our denominational effectiveness is that churches with larger budgets talk about the size of their gift and not the percentage of the gift. I have heard people remark that no one can expect the larger churches to give a significant percentage of their multi-million-dollar budget to the Cooperative Program. I must confess I find this argument difficult to understand. I can’t imagine a pastor telling church members with significant means that they can discount their tithe while expecting families with far less to maintain the tithe as their standard of giving. It is not about the size of the gift but the size of the sacrifice. Like Dr. Hemphill, I’m super grateful for our churches of every size and style who see the value of the Cooperative Program. May the personal giving to our churches be worthy of our Lord, and may the cooperative giving of our churches be worthy of the One whose grace super abounds through His people.